Although Northern Ireland and the Balkans signed peace agreements at around the same time, these countries’ efforts at religious reconciliation have had mixed and sometimes diverging outcomes, according to two reports. 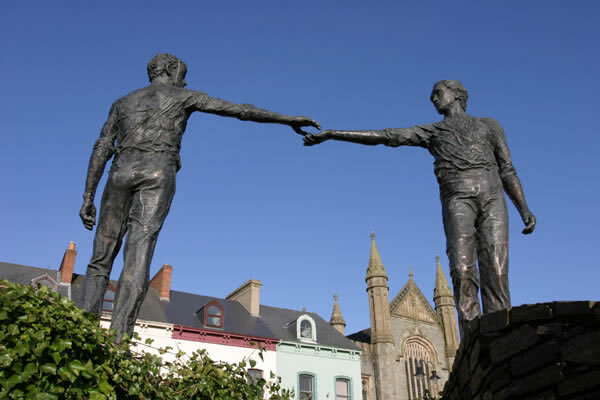 Two decades after the “Good Friday” peace accord in Northern Ireland, reconciliation efforts between Catholics and Protestants have been sustained, although generational changes and immigration have posed new challenges to these programs. Layton E. Williams reports in Sojourners magazine (March) that since the peace accord of 1998, “various efforts at reconciliation have taken root all over the country.” For most Protestant and Catholic churches, these reconciliation efforts have largely consisted of joint services, usually around Christmas time. The article focuses on the reconciliation ministries of Whitehouse Presbyterian Church and St. Mary’s Star of the Sea Catholic Church in Belfast, which started when the first congregation was set on fire in 2002. St. Mary’s donated significantly to the church’s restoration, which led to a steady stream of joint programs in social ministry and even theology. The churches hold classes where each communion learns about the other’s theology and practices, and they join with Methodist and Church of Ireland congregations for Holy Week and even Easter services. Children from Whitehouse’s primary school will visit St. Mary’s, while children from the Catholic primary school will visit the Presbyterian church. The reconciliation efforts have found the most support and involvement among older church members. This may be because they share the memory of how, before the “Troubles” and displacement of Protestants and Catholics in Northern Ireland, the two groups lived and worked side by side. The concern about younger members sharing the same level of commitment to reconciliation is found in both Protestant and Catholic churches, according to Williams. There has been a dwindling of church membership in Northern Ireland, not least among younger people who “want little to do with religion when it seems to have given rise to nothing but conflict. Young people from different backgrounds make friends with little concern for the Protestant/Catholic divide.” Another indication that the sectarian conflict of earlier days may have decreasing relevance in the church lies in the growth of immigrants in congregations. For instance, the newest and youngest members of St. Mary’s are Filipino and Indian immigrants “who have created their own worship services and come from an entirely different cultural context, one free of the centuries of Northern Ireland’s conflict. How these rapidly growing immigrant communities will impact and be impacted by those who lived through the Troubles remains to be seen, but what’s clear is that the future of Northern Ireland will be more diverse and complex than ever,” Williams concludes. 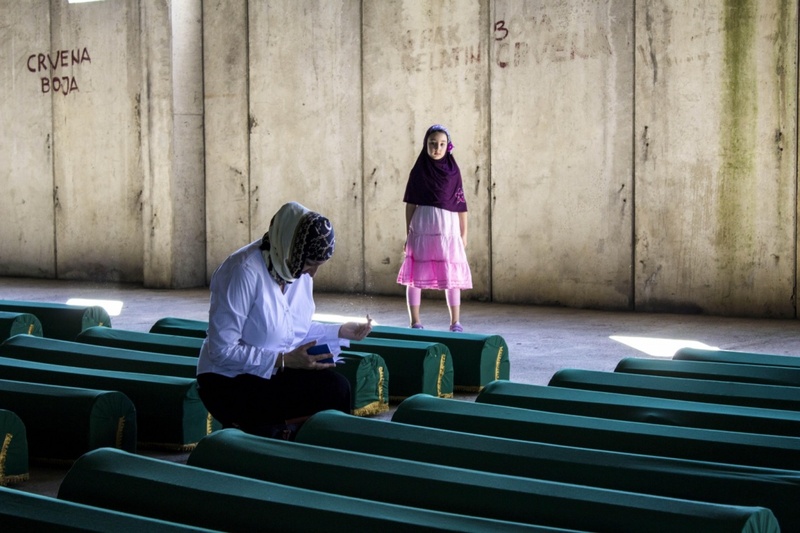 Commonweal magazine (March 9) reports that reconciliation efforts in the Balkans, particularly Bosnia, have been more fraught with unresolved ethnic and religious conflicts. Thomas Albert Howard writes that “under the mantra of ‘transnational justice,’ NGO’s have flocked to the region, or have arisen internally, in an effort to nourish institutions of civil society” since the signing of the Dayton Agreement in 1995. But recent discoveries of hundreds of mass graves and reports of more missing graves and cases of vandalism against mosques have put a chill on interfaith relations. That Bosnian Muslims have been among the highest number of recruits to the Islamic State, with Salafi Islam imported to much of the region has also dampened reconciliation. Such organizations as the Interreligious Council of Bosnia and Herzegovina have managed to monitor attacks on religious sites throughout Bosnia, as well as promote education and outreach programs. The Council is particularly targeting younger theologians and religious leaders and hosting conferences in cities across Bosnia, “often ones that have been flashpoints of violence in the past,” Howard writes. Other initiatives include setting up programs where those of different faiths can visit each other’s place of worship and organizing prayer gatherings at sites where religious violence has taken place; for instance, a Catholic priest may visit a vandalized mosque and pray there, in the presence of Muslims, “for peace, understanding, and reconciliation.” With limited time and resources, the Council gives less attention to older generations, whose opinions are more likely to be settled; older religious leaders, such as the bishop of Mostar, have not endorsed its work. The Council’s director, Bozana Katava, and others argue that teaching history in an impartial and honest way is the main way that religious and ethnic reconciliation will succeed.